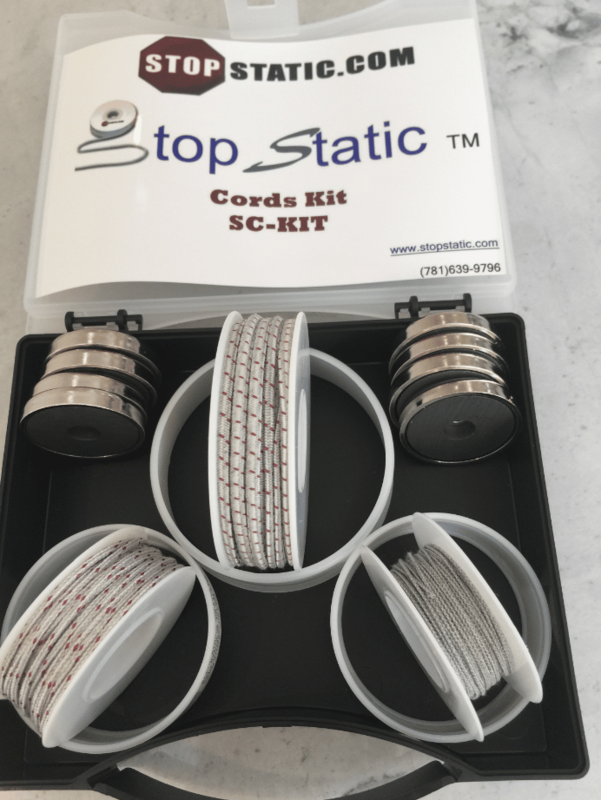 The StopStatic™ Cords Kit, contains all 3 rolls of antistatic cords and gives you enough products to solve all of the static issues. 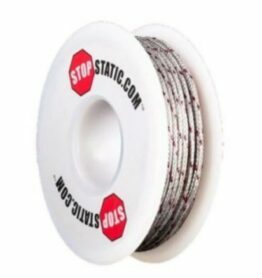 1 – Roll of Static String™ – This is the most successful antistatic cord in the world. It can be placed in contact with feeding sheets and winding rolls. 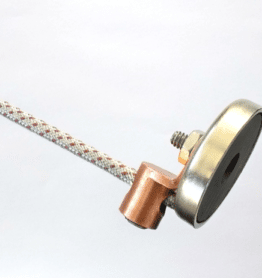 10 meters (33’) 1 – Roll of ionWire™ ionizing wire – This is the smallest diameter static eliminator in the world. 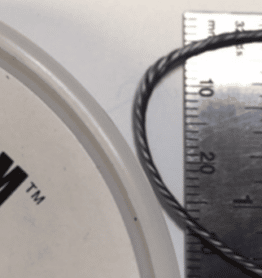 ionWire™ can get in very small gaps in the machine to do the job. 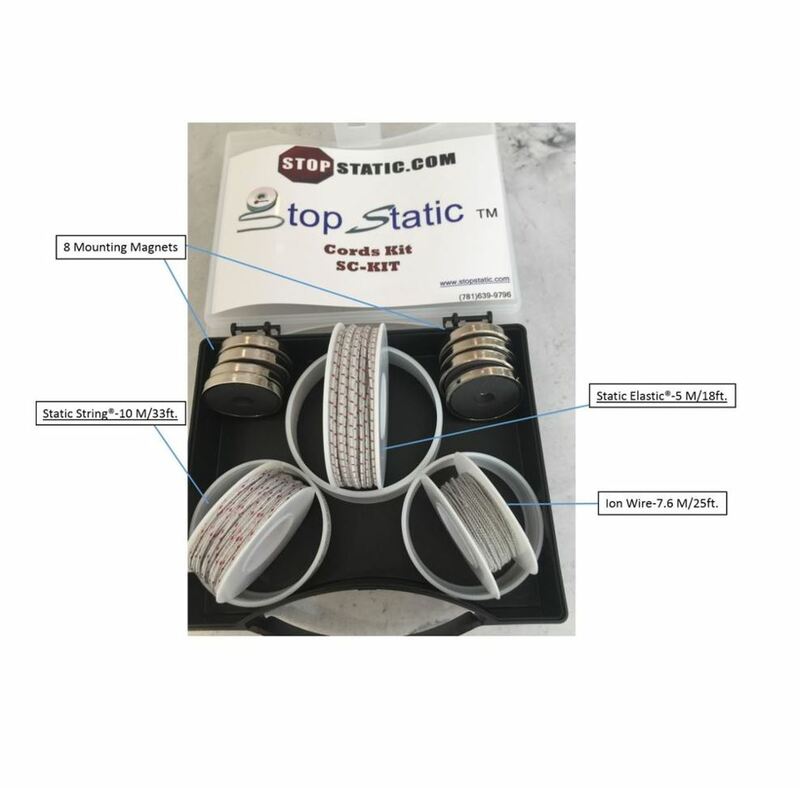 7.62 meters (25’) 1 – Roll of Static Elastic™ – This is the first bungee cord static eliminator which stretches across for simple placement and bounces back if moved. 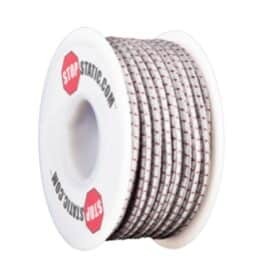 5 meters (18’) *The StopStatic™ Cords Kit also contains mounting magnets for simple installation of the cords.